Each room is designed with your business needs in mind. 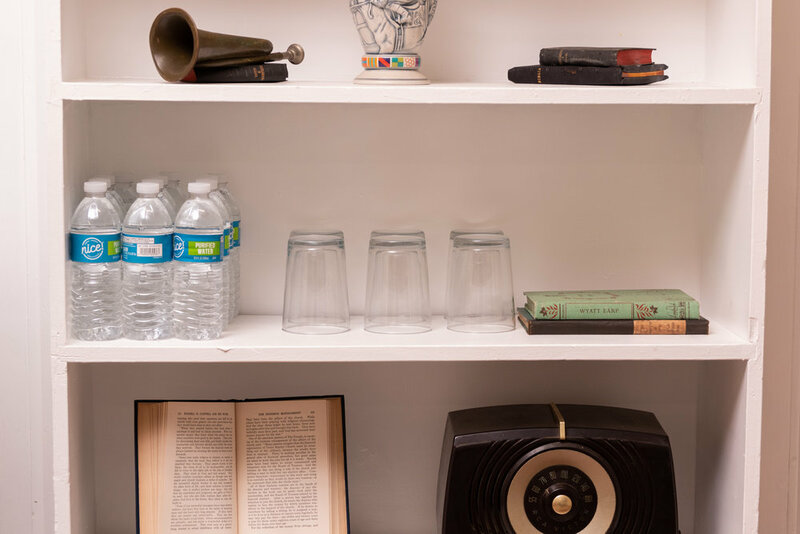 All rooms are equipped with standard office supplies, coffee and water, and private wifi connections to protect your privacy. Catering with delivery is available from Marliave, conveniently located next door. Rooms are available at hourly and daily rates to fit your schedule. 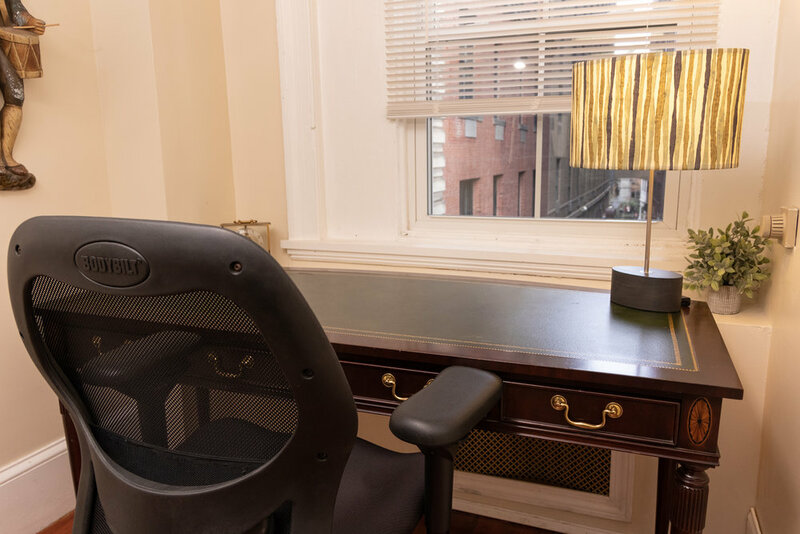 This private office space allows you to focus on work and forgo distractions. Need to regroup with your team? 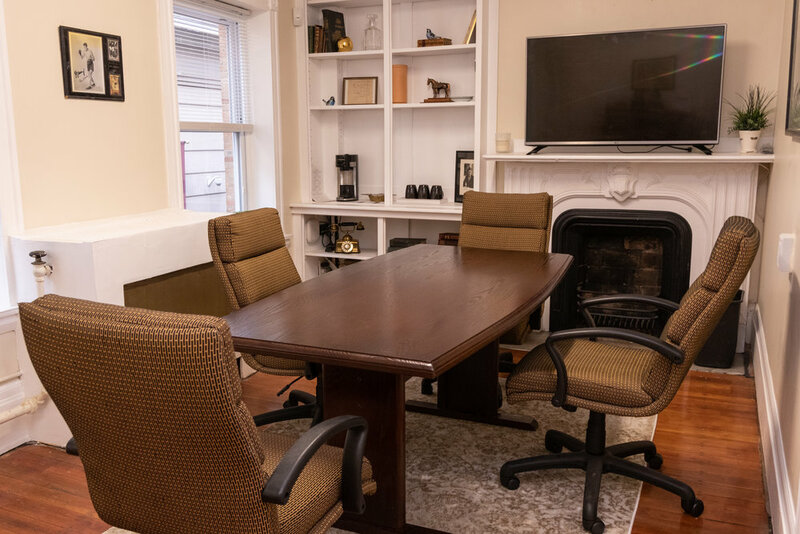 This room is equipped for you and two others to slip away from the office or hotel to small-group chat. Need some space for just yourself? This room is perfect for personal time or one-on-one meetings. Ready for a team talk or brainstorm? This sunny room comfortably seats six to eight with additional seating provided. **For larger groups, please contact us. 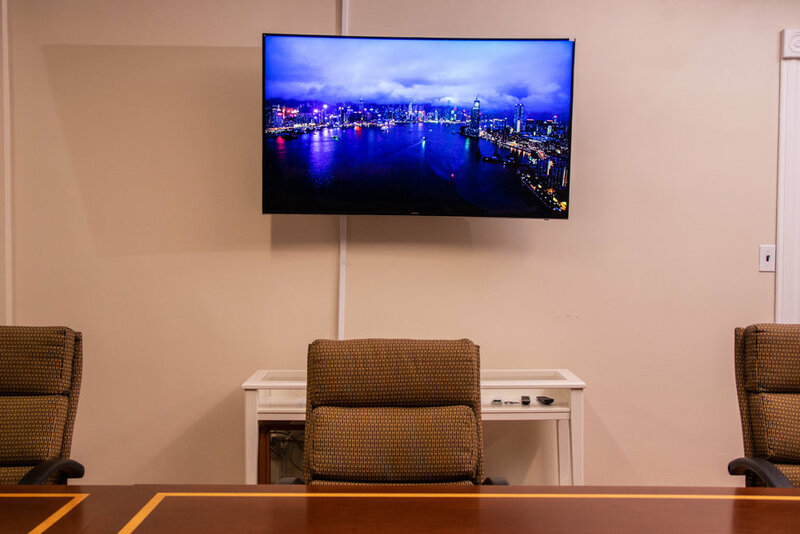 The Patriot Room is perfect for formal meetings and discussions. The rich woods and exposed brick show the beauty of early Boston. 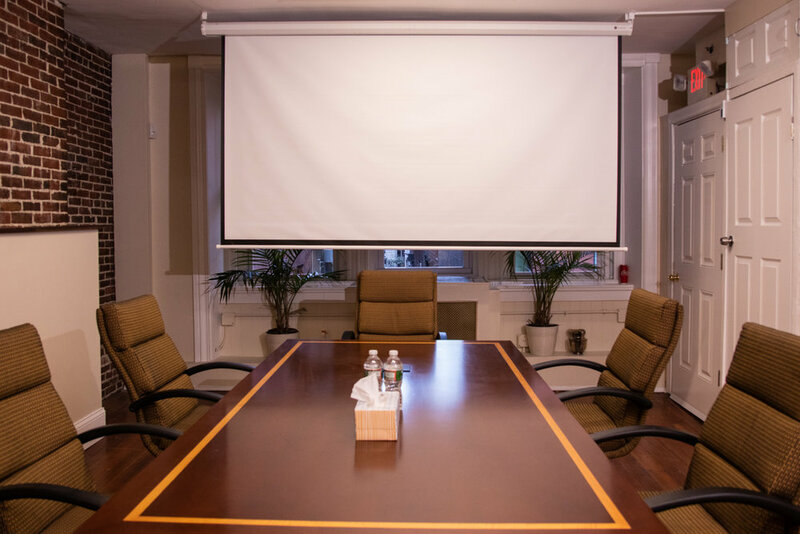 Bosworth Place offers a variety of amenities in each of our private offices and conference rooms. We strive to make your time here exactly what you need.